Monday, January 12, 2015 ratings — New episodes: The Bachelor, Castle, Mike & Molly, State of Affairs, and The Celebrity Apprentice. Reruns: Empire, Sleepy Hollow, The Big Bang Theory, Scorpion, NCIS: Los Angeles, and Jane the Virgin. I myself missed Mondays “State of Affairs” Went to the Kings Home game. and then there was the Championship game “OSU” i’m sure there is some fallout from those events. UGH! Mike & Molly isn’t getting any better… only worse. The stories are just idiotic & dull. Beginning w/that horrible theme song…. why did they get rid of that really good one they had when they started? …… The only funny ones on there are the guy from the restaurant and Vince. This ratings night belonged to the OSU – Oregon game. Just throw these anomalous numbers out. They’re irrelevant. 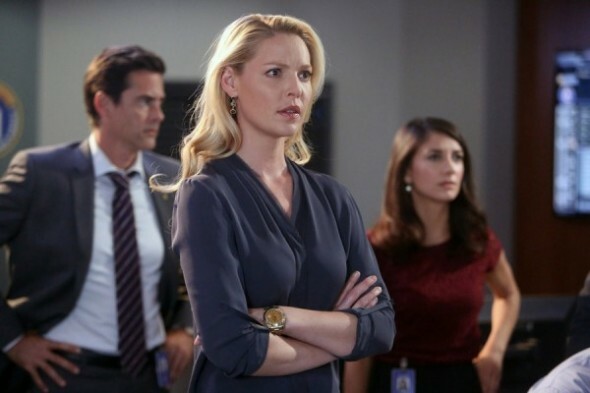 Week after week, State of Affairs is the bearer of “bad news” when they can’t find a much bigger audience. The Heigl haters can’t be ignored.